Home Motivation Motivation Videos Are we really back to this 17-game season again? Are we really back to this 17-game season again? Just when you thought it was safe to go back into the water. In a survey of the AFL head coaches published by afl.com.au, ten of the sixteen teams who answered the question said 17 games was the ideal fixture. Today, with an 18-team league, once everyone has met each opponent once, there are five games left over to schedule. This problem is not unique to the AFL; very few major leagues are scheduled with an exact multiple of opponents as its schedule length. The best-known example is the English Premier League and its relegation cousins, all of which have a precise two-game-per-opponent set-up. The 20-team EPL has 19 opponents per team, so they play 38 games each, one home and one away against each opponent. The leagues below it – the Championship, League One, and League Two – each have 24 teams, hence 23 opponents and 46 games. Most other leagues worldwide do not have this numerical perfection. Most of the American ‘major leagues’ have something on the order of 30-32 teams – the NFL, NHL, NBA, and MLB all fall in this narrow range, oddly. While the natures of the different sports mandate different rests between games and thus different season lengths, none fall into 29-game seasons (using 30 teams as our example), 58 games (two games per opponent), or 116 (four games per opponent). Instead, the NFL uses a 16-game season. They play two games per division opponent, one each per opponent in each of two other divisions which rotate yearly, and two other games which match the previous year’s ladder position (a first place team plays another first place team). Both the NBA and the NHL use 82-game seasons (every team is met twice, plus they play more games against conference and division opponents), and the National and American League baseball schedules have 162 games, in wildly varying patterns that become topics of heated debate every couple of years or so. Notably, the Premier League and its brethren feel so confident in their home-and-away set-up that they don’t use a post-season to determine their champion. Once a team has established itself as superior within their perfectly balanced schedule, they believe, there’s no point in proving it again. However, that’s the very point of most other leagues holding post-season finals tournaments – not to make teams prove their superiority again, but to lay to rest any imperfections introduced by the inherent defects in an imbalanced regular season schedule. I would argue the importance of having a finals series determine your league champion negates the petty arguments over the relevant, but minor, differences in a team’s strength of schedule. One team might be 15-7, while another team of equal calibre goes 17-5, but if both make the finals, they’ll have a chance to compensate for that discrepancy of record by winning the post-season tournament. If that discrepancy drops them, say, from seventh to 11th and out of the finals? Then by definition they weren’t one of the six best teams anyway; they wouldn’t have deserved the title in the first place. Even in the Premier League, there are always subtle differences between two teams’ schedules. What if, when your team happens to host Manchester United, Paul Pogba and Romelu Lukaku are both out with injuries, whereas when mine gets there, they’re in full health? And say that happens with Mo Salah when you play Liverpool, and Kevin de Bruyne when Man City comes to town and, well, you get the idea. Things are never completely fair. So to some extent, the fixture fixation we’re fixing is, er, fictional. As long as we make our best attempt to balance the extra games reasonably well – not unlike our attempts to make the rules perfect or the officiating perfect – the best teams will generally rise to the top, like cream in your coffee or scum in your pool. So, we’ll start by examining the outcomes from the ‘once-around schedule’ as I call it – 17 games, one against each opponent – or the ‘enhanced once-around’, which is an 18-game schedule that allows for teams to hold a second Derby/Showdown/rivalry game each season on top of their usual 17 opponents. In theory, over time, your cross-town rival will be up some years and down others, balancing out eventually. Unless you play West Coast, who almost never seem to take a dip down the ladder. Actual ladder: Sydney, Geelong, Hawthorn, GWS, Adelaide, West Coast, Bulldogs, North Melbourne. ‘Once-around’ ladder: Hawthorn, Sydney, Adelaide, Bulldogs, Geelong, GWS, West Coast, North Melbourne. Actual ladder: Adelaide, Geelong, Richmond, GWS, Port Adelaide, Sydney, Essendon, West Coast. ‘Once-around’ ladder: GWS, Geelong, Adelaide, Richmond, West Coast, Sydney, Port Adelaide, Melbourne. So, over the course of the two years I’ve tracked this, the longer schedule matched the once-around schedule in determining finals teams in 15 of 16 cases. Last year, Melbourne would have stayed in over Essendon, as they fizzled out only in the last game, which was a duplicate that wouldn’t have counted in the once-around. The top four were the same last year either way, while the shuffling of teams in 2016 was fairly minimal as well. Ironically, despite the Bulldogs being fourth in 2016 rather than seventh in the once-around version, they did not win the fictional title. Instead, it was ‘fifth place’ Geelong which won from the bottom four for the first time in decades when we used the relevant games at the appropriate home sites. 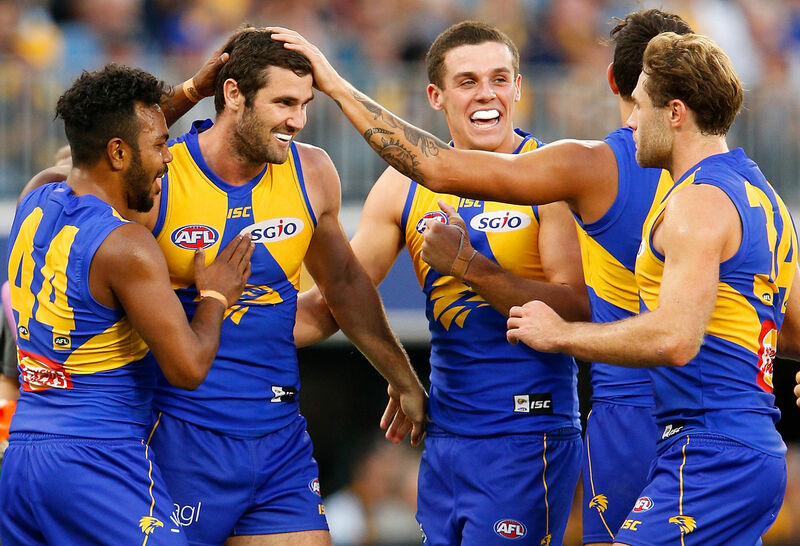 West Coast has that extra win against its Derby partner to edge into the top spot for now. Hawthorn’s met all 17 opponents and has completed its ‘once-around’ season at 11-6, although they still have their eighteenth game this weekend in their rematch with Geelong. Port Adelaide has one more game, against Collingwood, to complete their once-around schedule; Richmond has yet to meet either the Suns or Bulldogs, and they also have a rematch with their arbitrary-partner team, Essendon. In explanation, while the eight non-Vic teams have obvious partners which the AFL scheduling gurus always double up, the ten Melbourne-area clubs don’t always meet any one specific team twice. So in this thought experiment, I’ve had to semi-arbitrarily designate five partnerships among the Victorian clubs, using whatever repeat match-ups each season’s fixture provides. This year, that turned out to be Carlton and Collingwood (seemed logical), Geelong and Hawthorn (rivals, good), the Bulldogs and Kangaroos (well, they share a building), Richmond and Essendon (mmm, ok), and Melbourne and St Kilda (weird. But they’ve been pushing each other for finals spots the last two years). If we were to do this for real, I’m sure the AFL would settle the matter. For now, just roll with it. Carlton has actually completed its once-around schedule, and finished the season 1-16 (1-17 with the second Collingwood loss on the 18-game version). Everyone else has at least one game left; all three remaining games that Melbourne and the Tigers play will go on their record. Looking at the top eight, the same eight teams are there in both ladders; the order of teams is even pretty close (GWS has an extra game to play, which dropped them down a bit). Do the extra five games change the essential ranking of teams? Not really, but we did some exciting games out of it! And, as we complete the season, it’s not hard to see that Richmond will be favourites in all three remaining contests, and they should finish at 13-4 in the once-around form of the ladder, and 14-4 in the 18-game version. Only the Eagles could match that win total, and they’ll have to defeat Melbourne in Round 22 to do it. So, the main reason (besides ‘fairness’) that coaches want to go to a version of the 17-game schedule is for the health of the players – fewer games, fewer injuries. It’s hard to argue with that motivation but, as I said, it’s almost impossible to imagine the league choosing to cut back on the number of times tens of thousands of patrons come through their gates. I just don’t see that happening. Others are discussing something along the lines of the 17-5 models, where there’s a bye week after week 17 for all clubs while the schedule for the final five weeks comes out, re-matching the top six against each other, the middle six in a similar round-robin, and the bottom six doing the same thing. If we do that, I’d recommend that those five games become the finals series. You will have had those top six teams play each other twice already; why go through the motions a third time? At the most, schedule one playoff game between the top two teams in the top bracket so you can have your grand final Saturday. “But we lose the excitement of those winner-take-all finals games!” Oh, really? Think about what every game in that round-robin top bracket looks like! Did you watch the World Cup group stage games? With every game, the ramifications were enormous! Only when you get to the two or three-loss teams in the last round or so do those become anything resembling dead rubbers. Do the middle six or bottom six have anything to play for? My question would be, do they now? And if they’re simply games for final position and draft order, then the real purpose of these last two months or so for those out-of-finals clubs comes out more transparently: preparation for next season. 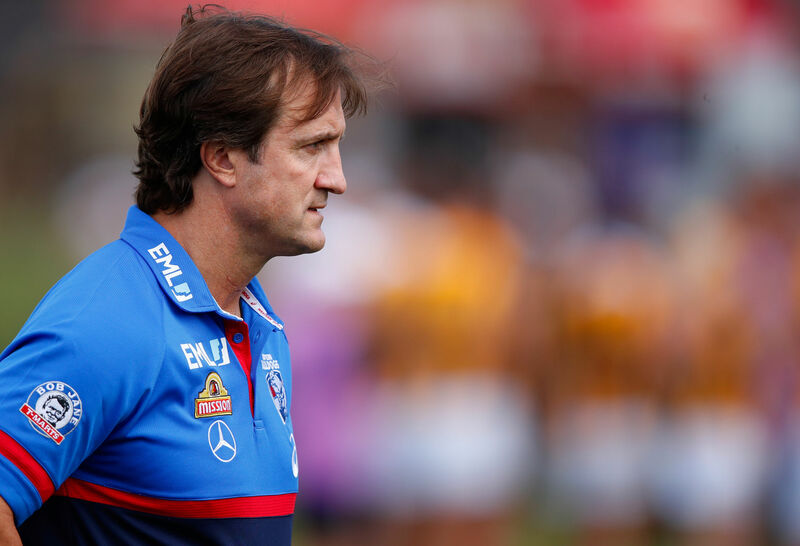 Already, the Ross Lyons and Luke Beveridges of the league are thinking less of 2018 and more about 2019 as they play, vesting new young men into the AFL to see if they’ve got what it’ll take to stick. And here’s the advantage with this set-up for them: they get to consistently play teams that are closer to their calibre. Right now, it does Fremantle or the Bulldogs little good to play Richmond and get slaughtered. In a situation like Carlton vs GWS last weekend, it’s downright damaging. But if they’re playing each other and similar opponents each of these last five weeks, they could really learn something about the talent they have. Meanwhile, the audiences are virtually guaranteed more competitive games at all three levels. I think of the three round-robin levels as the Champions Bracket, the Challengers Bracket, and the Futures Bracket. Branding is so important. Finally, the coaches do get a little of what they wanted – a shortening of the season for those finals-calibre teams. The Bulldogs played 26 games in 2016; in this set-up, no team would play more than 23, even including a one-off grand final. And if you’re an AFLW fan, here’s another benefit: if they’re only playing one round of finals, you could shift the always-slightly-problematic-for-somebody beginning of the AFL mens’ season forward up to three weeks (to put the GF back on the last Saturday in September), and extend the women’s season to the nine games it should properly be with ten teams! When they go to fourteen in a couple of years? Hmmm. Well, that’s a problem for another article, but how about two divisions of seven; play every team in your division once a year, and every team in the opposite division every other year? That makes nine-ish. Now, I have a third solution for you, which will draw all sorts of boos from the purists, and I’m not at all sure I like it either, but if you want a totally fair schedule – the same number of games against the same exact opponents without changing the length of the schedule? Expand the league to 22 teams. Have a 21-game round robin season, one game against every other team, and then to complete a 22-game season, give the derby partners a rematch. Please don’t ask me where the other four teams go. I have no idea. Probably not Queensland. Tasmania certainly wants one. Can the west handle a couple more? How about international squads? I don’t know; it was just a scheduling suggestion. The whole conversation, as I argued earlier, is moot. Our schedule’s flaws are rectified by having an eight-team finals series that allows every team with a realistic claim to be the best team this season to prove it in competition. Of course there are going to be lumps in the scheduling, just like there are lumps in the officiating or the rules or the score review. But there are different kinds of lumps. As Robert Fulghum say, if they’re more like “lumps in your oatmeal” than “a lump in your throat” or “a lump in your breast”, you’ll be fine. Balance those five games as best you can, and move on. Deal with it, and settle it in September. Article link: Are we really back to this 17-game season again?. Written by Gordon P Smith, on The Roar – Your Sports Opinion.